We are pleased to announce that Flying Scotsman will return to the Nene Valley Railway for public running in late summer. 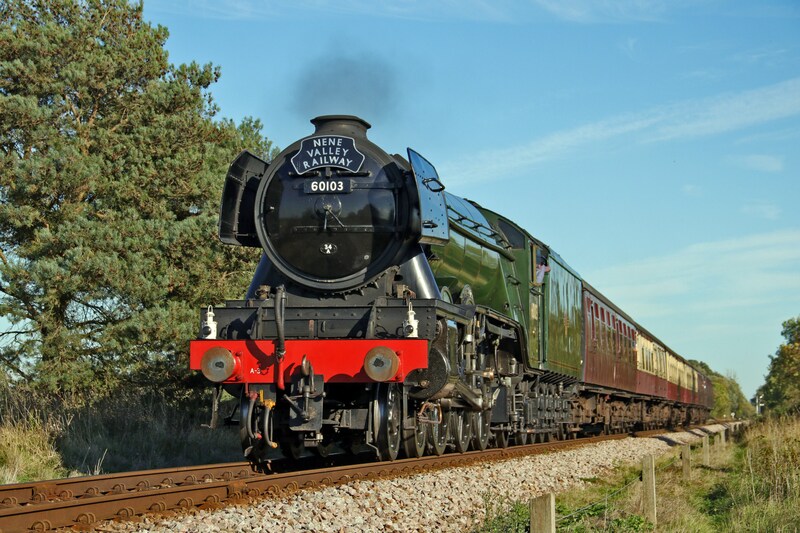 The locomotive will be in public service for 3 running days and we are also planning some special static days to get up close and personal to Flying Scotsman, tickets must be purchased in advance for a trip behind this iconic locomotive, the advance date for tickets going on sale will be announced. Our Popular Jolly Fisherman Fish and Chips service will also be operating hauled by the locomotive and an evening Dining train will be operating offering a full three course meal hauled by 60103 (BOTH EVENTS SOLD OUT). The locomotive appears with kind thanks to the National Railway Museum and Riley & Son (E). We are currently planning the visit and all details, updates will appear on our web page, please do not contact our office for enquiries, all the current information will be published on our web page.